An Oregon transplant, exploring the cities and nature of the Pacific Northwest through a camera. 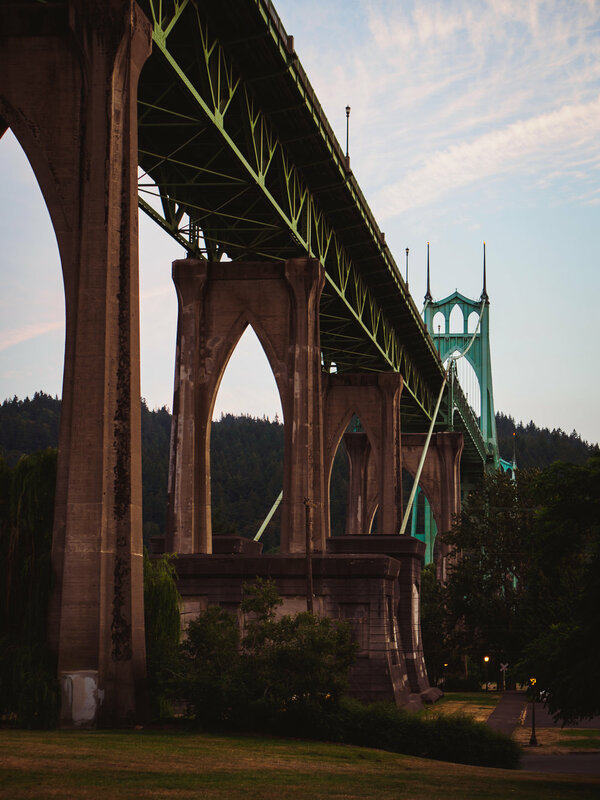 I have three favorite bridges, out of all of the bridges in Portland, each for different reasons. For modern bridges, I love the Tillikum Crossing. For big, industrial hunks of metal, I love the Steel Bridge. And for stunning elegance, I love the St. Johns Bridge. I never get tired of taking a camera out to this beautiful gothic work of art. When the weather clears, I really ought to get the drone out and get some aerial footage.